Made some minor tweaks to the initial forecast from earlier today, and added expected snow totals area-wide. While this is preliminary...models are handling this storm fairly well. Still pinpointing downtown Chicago as the hotspot for the heaviest snow. 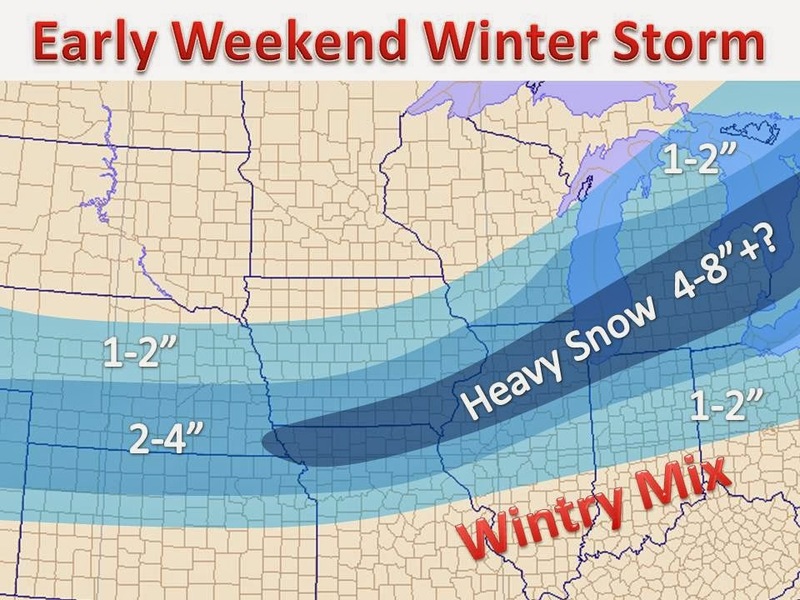 Like every storm, the exact axis is subject to change 30-40 miles before the main event. Either way around a half foot of snow is likely across NE Illinois. "Warm" Weather Ahead, Can this Exist?